Knee cap injuries are fairly rare as they usually only occur if there is a great deal of force through the knee. The two most common injuries here are a broken kneecap or dislocation. The kneecap (patella) is a small, inverted triangle shaped bone that sits at the front of the knee joint. It rests in the trochlear groove on the front of the femur and sits inside the bottom of the quadriceps muscle. The kneecap slides up and down in the groove but ridges on either side of the groove prevent it from moving sideways. It is held in place by strong ligaments, and the back of the kneecap is lined with the thickest cartilage in the human body. Whilst knee cap injuries are rare, patella pain is fairly common and can be due to a number of causes – see the knee cap pain section for more information. One of the most common knee cap injuries is a dislocated patella. This is when the kneecap comes out of its groove on the thigh bone. The kneecap is held in place by very strong ligaments and it takes a great deal of force e.g. a fall or car accident to dislocate the kneecap. Occasionally it can dislocate after awkward twisting usually in sporting activities. The kneecap usually dislocates to the lateral (outer) side of the joint because the bony ridge is slightly lower on the outer side of the knee than on the inner side. There is usually a visible deformity and a lot of swelling. If the kneecap dislocates, it needs to be put back in place as soon as possible by a doctor. This is done by straightening the leg but often analgesia is required to reduce pain and muscle spasm to allow the relocation. Some people are more prone to dislocating knee cap injuries due to their anatomy - the groove that the kneecap sits in may be shallower than normal which makes a patella dislocation more likely. When someone dislocates their kneecap, the ligaments around the patella often get torn and when they heal, they don’t always hold the kneecap in place as securely, making recurrent dislocation more likely. If someone keeps dislocating their kneecap, they may be offered surgery to try and make it more stable. 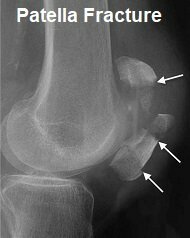 Dislocating knee cap injuries are more prevalant in females and are most common between the ages of 16-20. After a patellar dislocation, knee cap pain, weakness and instability can persist for a number of weeks. It is vital to follow a rehab programme to regain strength and stability at the knee to prevent future dislocations and knee cap injuries. It maybe necessary to wear a knee brace in the early stages and outcome depends largely on compliance with the rehab programme. It is important not to do activities which cause pain after a kneecap dislocation – this is a case where “no pain no gain” does NOT apply. Activities that put a lot of stress through the patella such as squatting, kneeling and jumping should be avoided. Initially, you should follow the PRICE regime (protect, rest, ice, compression, elevation) and then you can begin pain-free knee strengthening exercises and movement exercises. There should be a particular focus on strengthening the muscles directly around the kneecap, the VMO muscles as they hold the patella in the centre of the groove and the gluteal muscles to improve the control around the patella - see the kneecap exercises section. A physical therapist will guide you through your rehab and advise when you can start returning to sport. They may recommend wearing a knee brace for extra stability, either in the short term or long term, depending on your recovery to prevent further knee cap injuries. You can find loads more in-depth information in the Patellar Dislocation section. Patella fractures account for approximately 1% of all bony injuries. They are usually caused by a fall from a height, a direct blow to the patella or a massive tensile force pulling through the quads onto the kneecap. There may be a single break in the kneecap or the bone may break into any number of pieces. 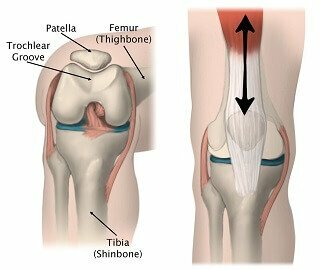 Patella fractures are accompanied by knee swelling and often there is damage to the skin, resulting in an open fracture. The severity of knee cap injuries will determine the management. Sometimes broken kneecaps can be treated conservatively i.e. they don’t require surgery. If the fracture is non-displaced (the bones are still together rather than separated) you probably won't need surgery . You should be able to weight bear on the leg (walk) and start gentle exercises immediately after a patella fracture, but you will probably need to wear a brace for 4-6 weeks that holds the knee in extension (straight). This can be removed to do your exercises. When knee cap injuries are more severe, surgery is required. The broken pieces of the patella will be put back into place and held together with a combination of screws, wires and pins. One option is Tension Band Wiring, where they drill small holes in the different patella fragments and attach wires which hold the pieces together. 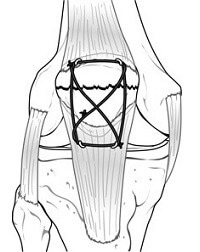 If the kneecap has broken into lots of pieces, more wiring will be required and they essentially wrap wire around the whole kneecap to hold all the pieces together, known as Longitudinal Anterior Band plus Circlage Wiring. After surgery, you normally wear a brace to hold the knee in extension, but you can remove it to do gentle movement exercises. After approximately 6 weeks, once the bones have started to knit back together as new bone grows, strengthening exercises can be started. You can then start weaning off the brace and by about 3 months the bone will have healed. Sport and vigorous work can start once rehab is complete, usually at about 4-6 months post-op. Sometimes, further surgery will be required a year or so later to remove any metalwork that was initially inserted if it starts causing pain. Occasionally, if the fracture is really severe and the kneecap has shattered, a patellectomy, where part or all off the kneecap is removed, must be performed. Strengthening exercises are a vital part of rehab when recovering from knee cap injuries. A combination on kneecap exercises and general strengthening exercises helps reduce pain, improve function and reduce the chance of future problems. If these knee cap injuries aren't sounding like your problem, visit the knee cap pain section for other common causes of patella pain, or visit the diagnosis section for help working out what is causing your pain.